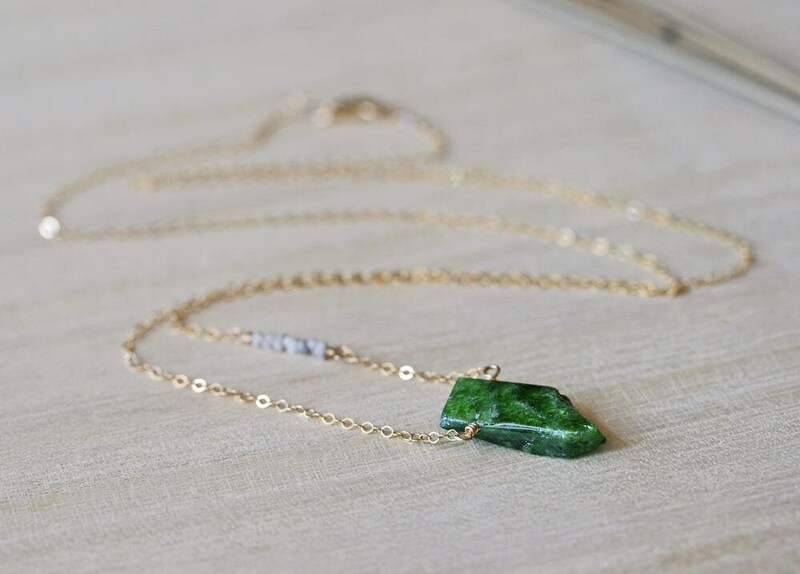 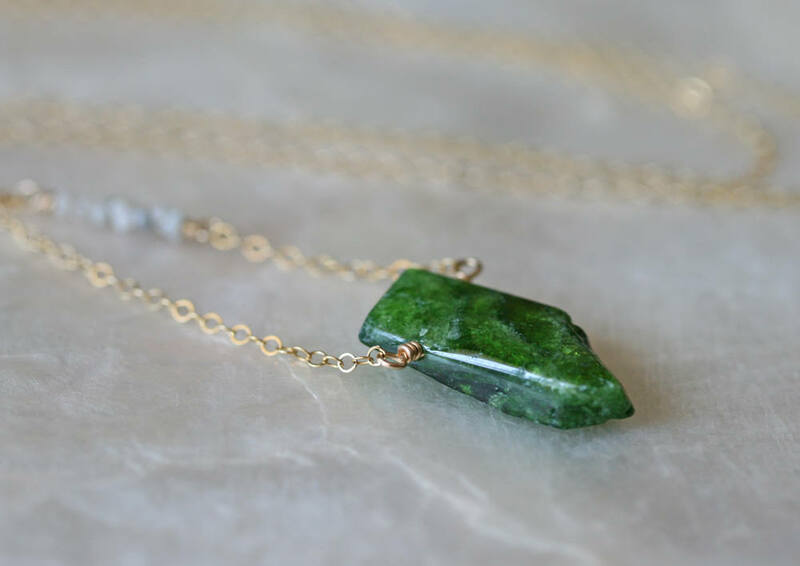 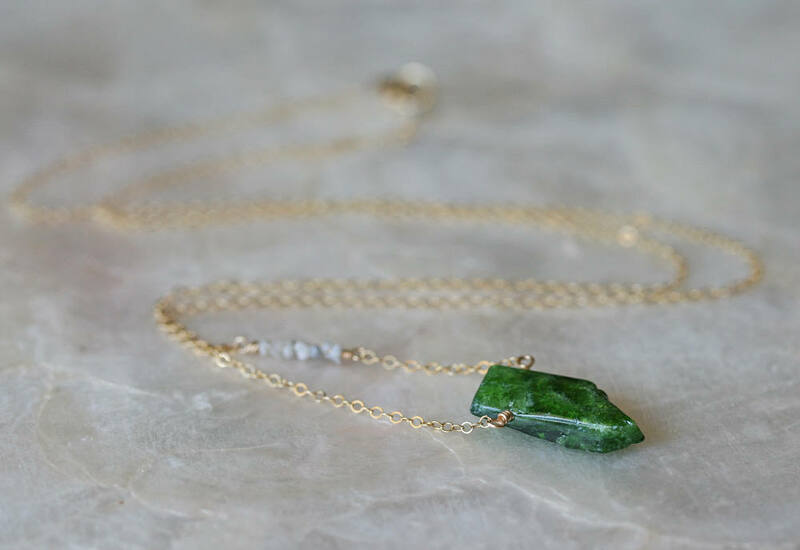 Vibrantly green raw Chrome Diopside gemstone creates the mesmerizing focal of this simple necklace. 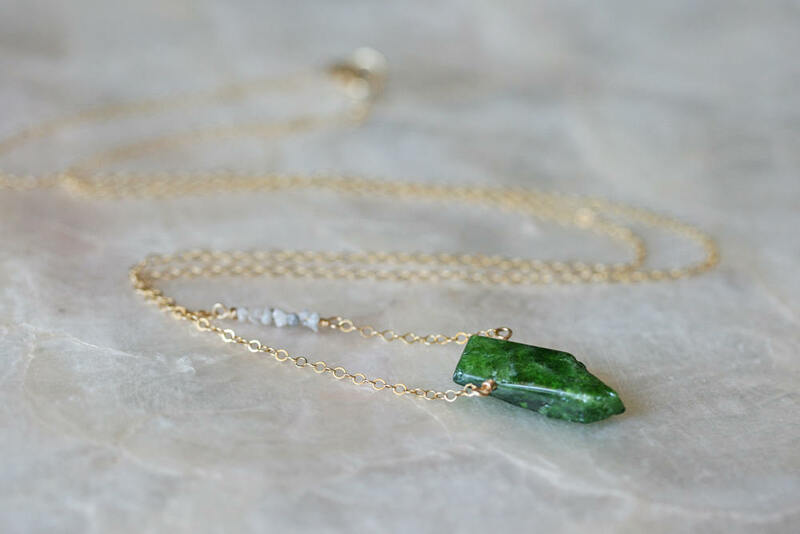 With color and natural beauty like this specimen, simplicity shows its beauty the best. 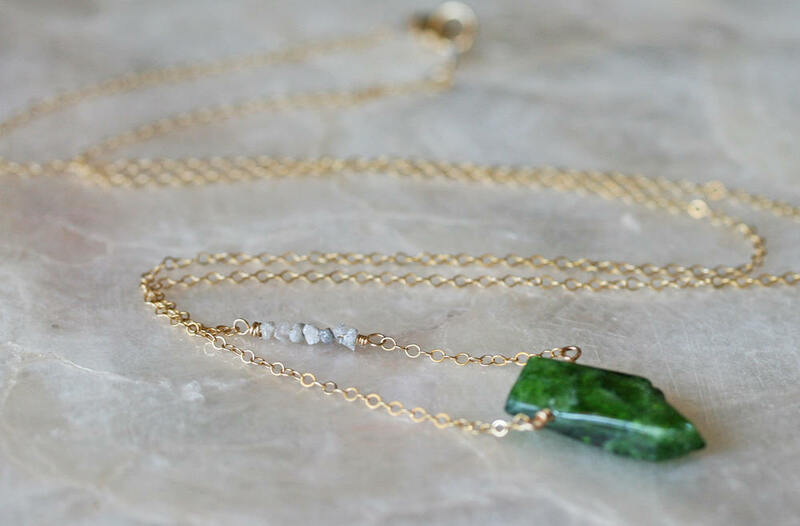 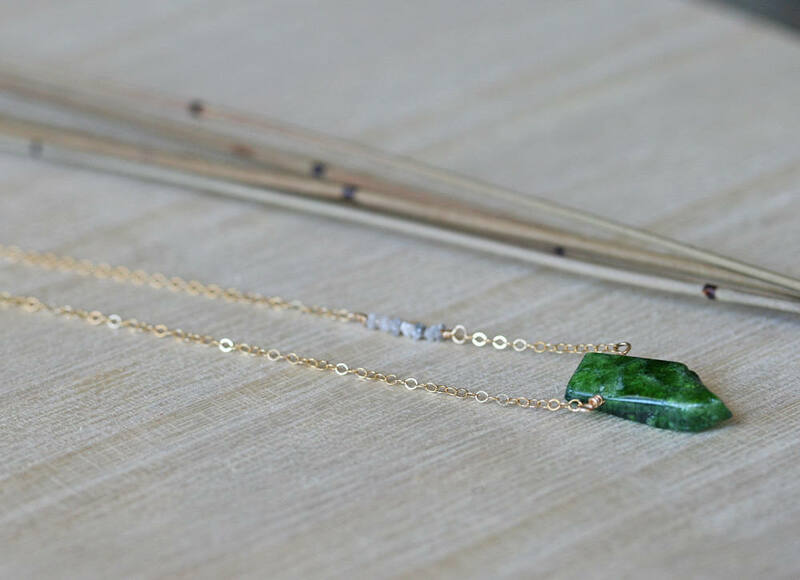 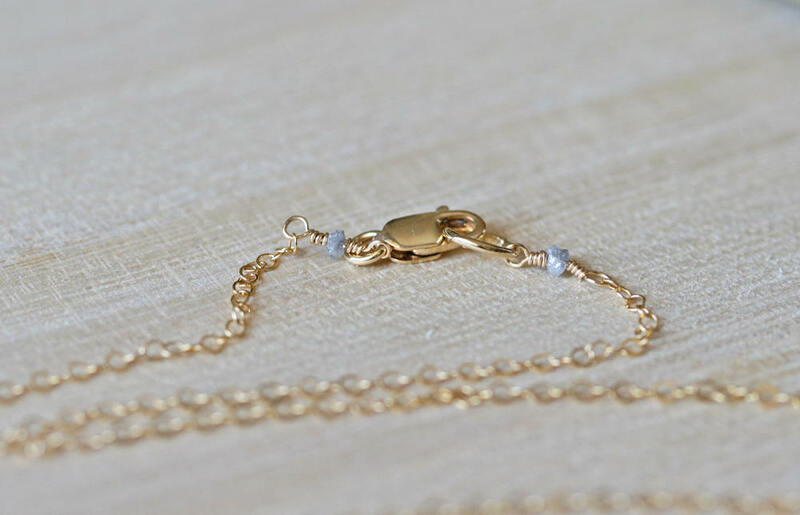 The natural gemstone is complimented with a row of tiny raw diamonds set in the 14k gold filled hammered cable chain. 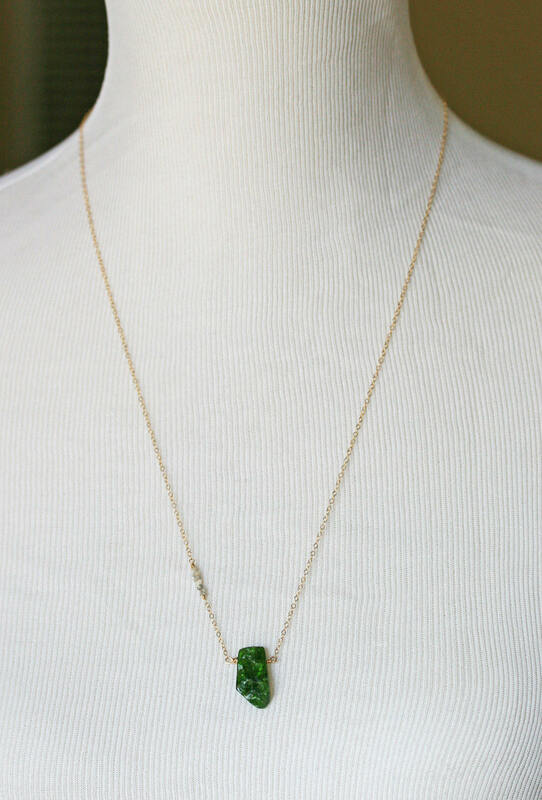 The necklace is finished with a 14k gold filled lobster claw clasp and more silvery raw diamonds. 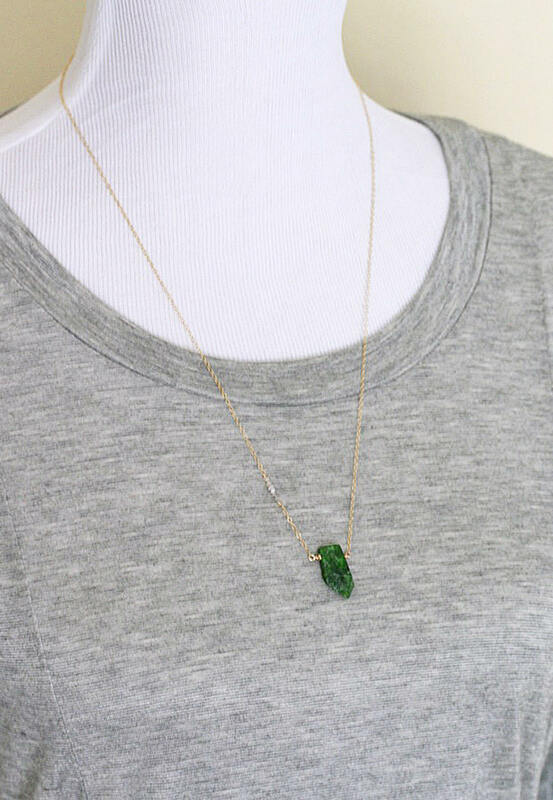 Necklace in Photo is sold. 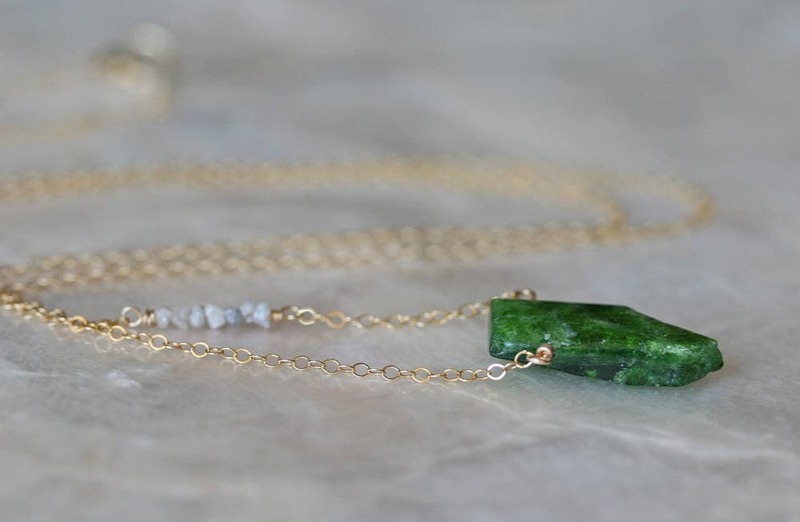 Your necklace will have an equally lovely Chrome Diopside.